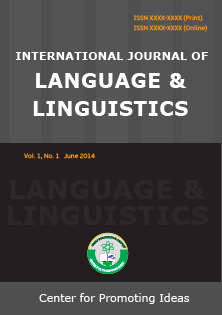 The ultimate goal of this article is to provide a detailed frequency analysis of major stative verbs, major sensation verbs, and major mental activity verbs within the Corpus of Contemporary American English (COCA), the British National Corpus (BNC), the Corpus of Historical American English (COHA), and the Time Magazine Corpus (TMC) and to provide clues as to why non-progressive verbs occur in the progressive and why they show differences in the use of the progressive. In this article, we argue, in support of Cowan (2010) and Palmer (1987) that non-progressive verbs can occur in the progressive. Cowan (2010) contends that a certain action becomes more emotional, intense, and vivid if a stative verb appears in the present progressive instead of the simple present. Also, he claims that non-progressive verbs occur in the progressive when the speaker wishes to express the idea of evolving process. Palmer (1987) maintains that stative verbs are used for limited duration and that the progressive is unlikely unless a change of state is indicated. With respect to the frequency of progressive statives, a major point to note is that the reason why please has the highest frequency among the stative verbs contain, belong, and please may be that it has the plus-feature in volition which contain and belong lack. A further point to note is that the reason why feel obtains the highest frequency among the sensation verbs smell, taste, and feel is that smell and taste have the plus-features in volition and dynamism, whereas feel has the plus-features in duration, volition, and change. The data in this article strongly suggest that the reason why the type forget is used more frequently than smell and taste may be that forget has the plus-features in volition, duration, and change, whereas smell and taste have the plus-features in volition and dynamism. These observations lead to the hypothesis that duration, volition, change, and dynamism are factors which trigger progressives.